comprehensive cleaning, exam & x-rays. Call for details. Our pediatric dentist in Sudbury, MA ensures proper dental care for your children while making visits fun and educational. Children should visit a pediatric dentist by their first birthday. It is important that your child’s newly-erupted teeth receive the best dental care and benefit from proper oral hygiene habits right from the beginning. Schedule your child’s appointment with Sudbury Dental Excellence today to experience Dr. Alvi and her dental team’s excellent approach to pediatric dentistry. At Sudbury Dental Excellence we provide safe, fun, and educational dentistry for children. Through the use of computer technology, 3-D models, and readily understandable language, we teach your child how to implement proper oral hygiene habits. Additionally, our team will give parents the right guidelines to prevent traumatic injury and support healthy eating practices. As your child’s smile grows and develops over the years, it is imperative to watch out for any potential issues. Sudbury Dental Excellence can help with corrective treatment at the earliest possible stages, preserving your child’s well-being and confidence. We want your family’s smile to be happy and healthy at all times! 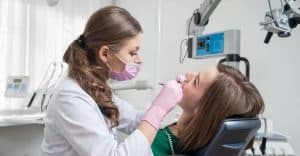 Aside from routine cleanings and regular checkups, preventative care means using dental sealants, topical fluoride, and learning proper brushing and flossing techniques. Sometimes even preventative care cannot help completely. If our children’s dentist notes signs of a severe oral injury, misaligned bite, or bruxism (teeth grinding), we can prescribe additional treatment options for your child to ensure their smile returns to being the healthiest possible.